New Steine Hotel in Kemptown will hold a charity preview evening of their latest exhibition Heroes on Monday, July 31 to celebrate the start of Brighton Pride week. During the evening, 10% of any art sold will be donated to the Rainbow Fund. There will also be a raffle with prizes including a three-course meal at the New Steine Bistro and an overnight stay at the New Steine Hotel. Drinks and canapes will be served. 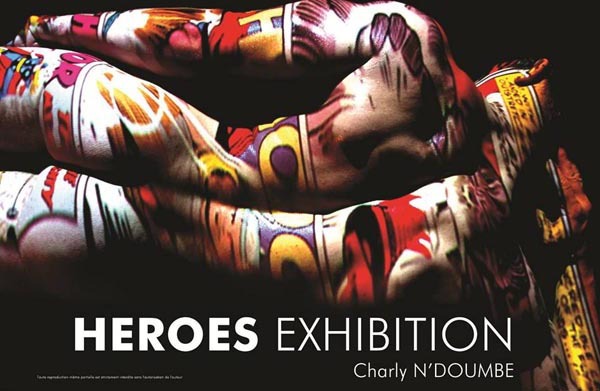 The artist, Charly N’doumbe, a student at the Beaux-Arts Biarritz and the Fine Arts of Monaco, uses nudes both feminine and masculine in his work while employing techniques such as photography, drawing and sculpture. Charly produces pieces of work combining all three mediums to magnify the body’s natural beauty in both figurative and abstract forms. The exhibition runs till September 17.